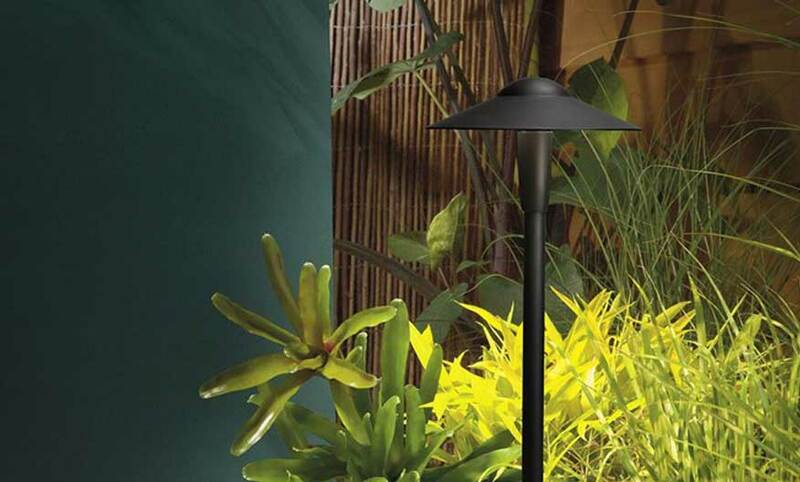 Creative Landscape Depot has an in-house landscape lighting expert, with years of installation experience, products knowledge, and a genuine eye for placement and lighting design. 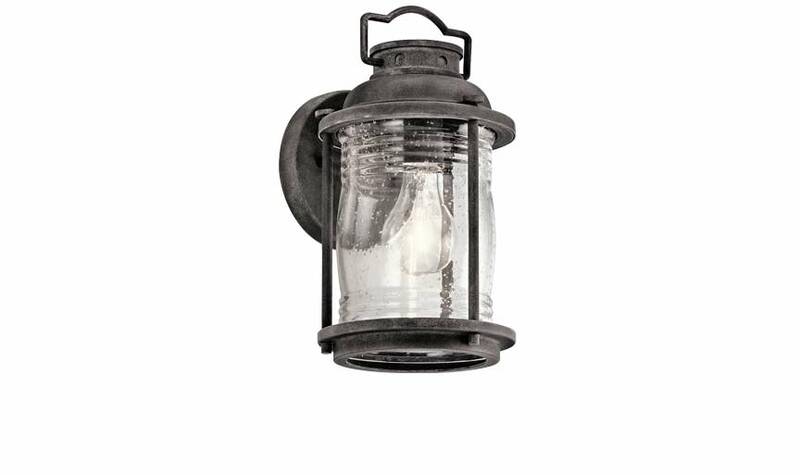 We carry landscape lighting fixtures, cables, connectors, controls and tranformers needed for your outdoor landscape lighting project. 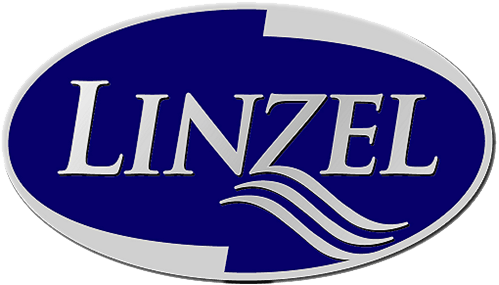 Please visit our team for precise product information, or coordinate an on-site consultation with our lighting specialist, so that your investment compliments your home and ads value to your property! 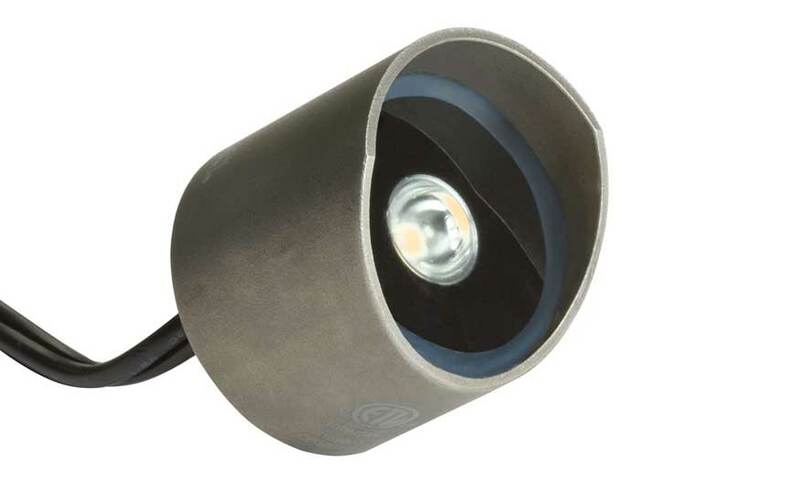 12V with Variable Lumen Output that allows you to easily switch between three lumen outputs (100, 200, 300 lumens) without mechanically adjusting the settings on the fixture. 15, 35, & 60 degree. Mounting options available. 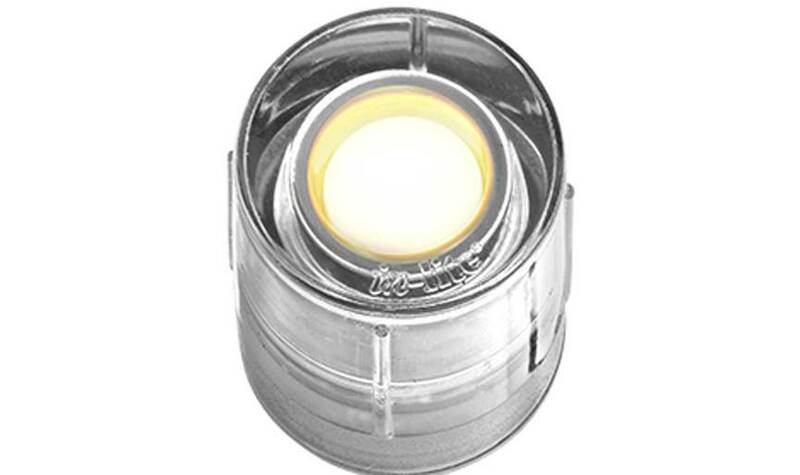 3, 4, 6.5, 18.5, 21 watt / 10, 30, 60 degree accent light. 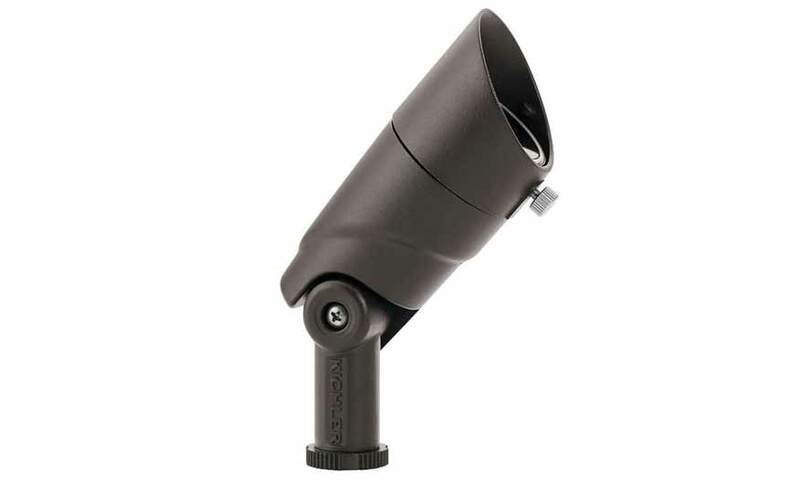 Radiax Optics deliver the greatest lumens per watt in the industry. 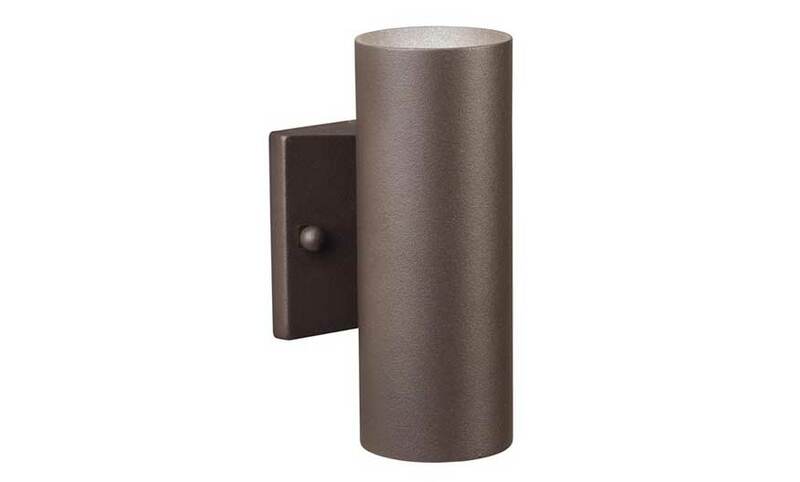 A popular look, has a new addition with a smaller 6" shade in Textured Architectural Bronze. Only 1lbs, 6" wide, and 21" tall. 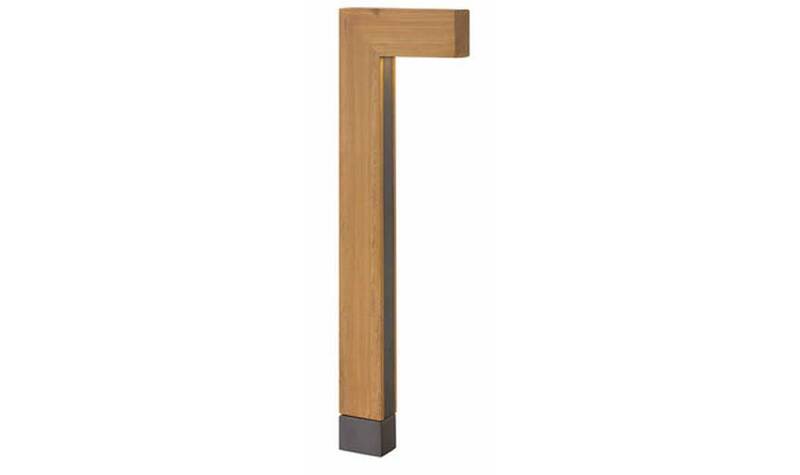 An elegant design pathway light, supported by thick cast construction. Only 3lbs, 8" wide, 26.5" tall, and 3.8 watts. 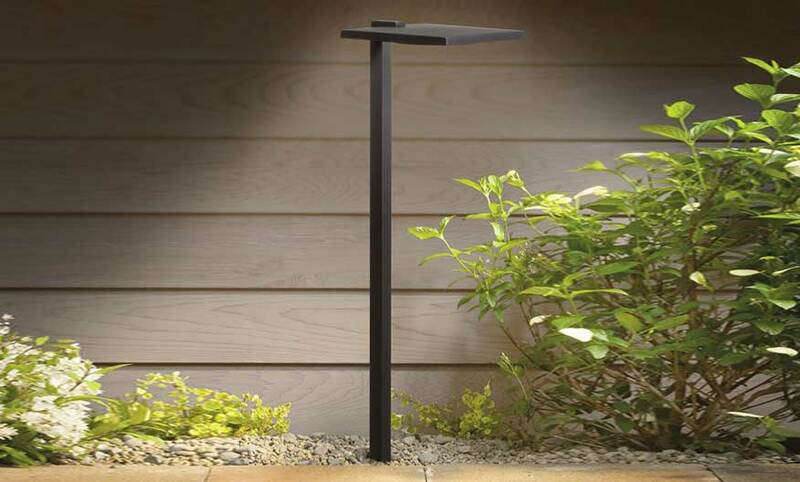 A design only made possible by today's LED technology, this fixture will surely compliment all landscapes with its unobtrusive styling. 6" wide, 23.75" tall, and 4 watt. 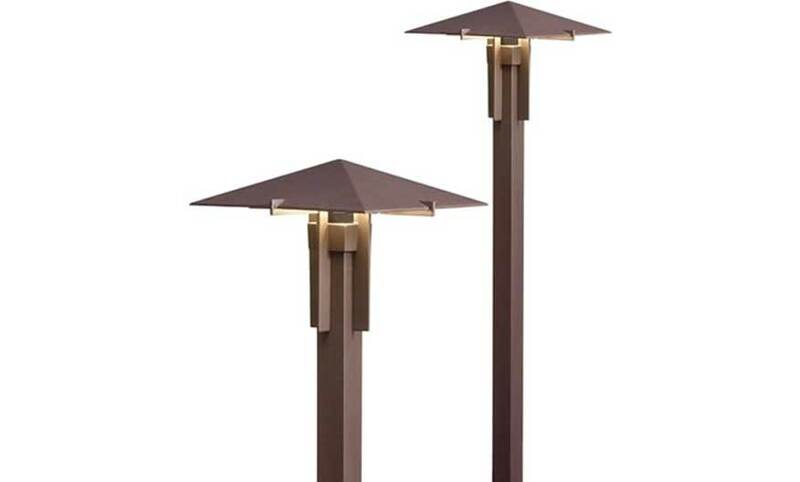 The rich Textured Architectural Bronze tones, clean lines and sturdy construction make this path light a welcome addition to any transitional outdoor lighting design. 3lbs, 7.25" wide, 26" tall, and 4.3 watt. 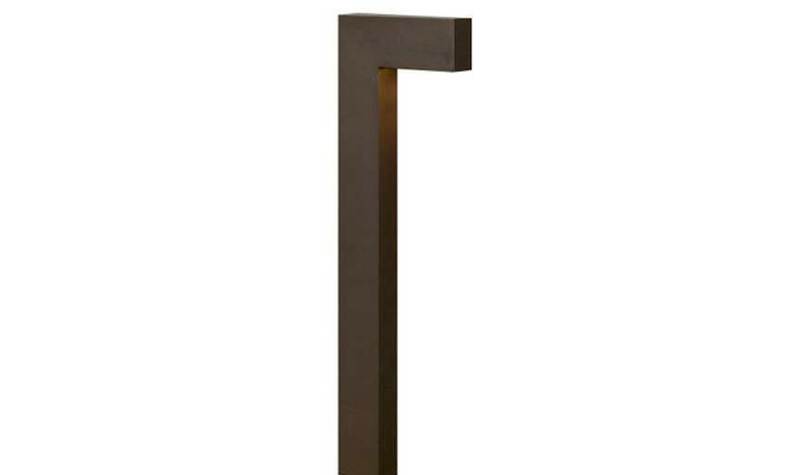 A simple yet clean design that blends the newest LED technology with tough as nails construction in Textured Architectural Bronze. 1.5lbs, 6.25" wide, and 22.5" tall. 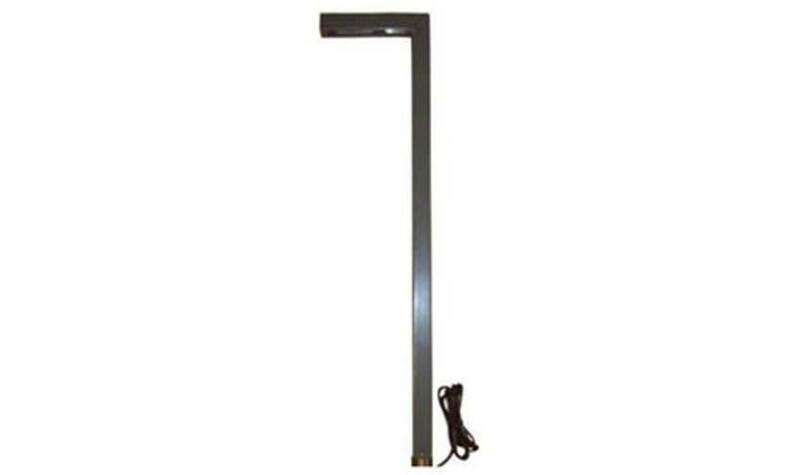 1, 3, 6, 7, 9, 12, 13, and 18 inch long units available. 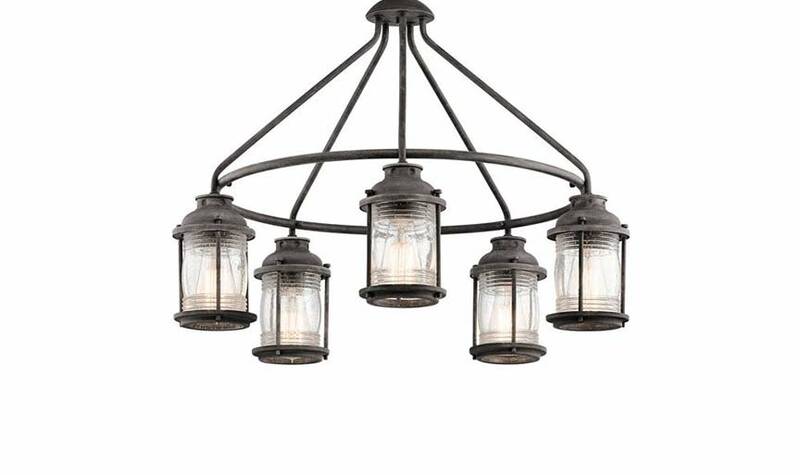 Hardscape lights are wonderful for laminating walls, steps, columns, railings, and pool copings. 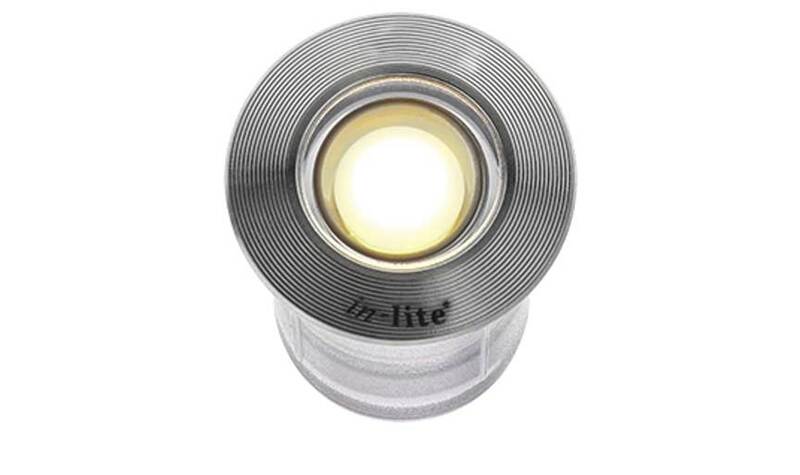 These lights generally fit just under coping or cap materials. 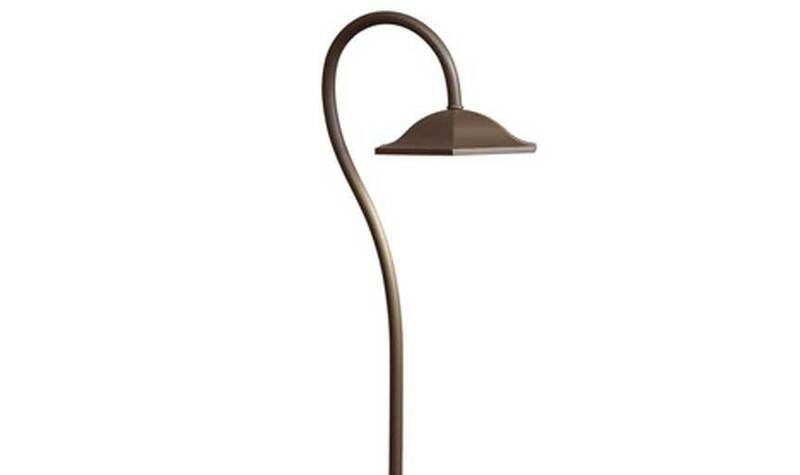 Attractive and functional up and down light blends with a range of architectural styles. 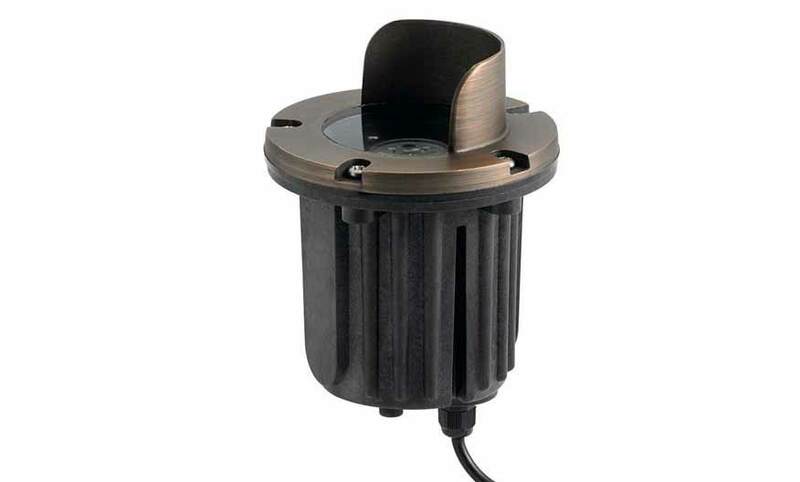 Matching 120-Volt surface mounted style available. 3" wide x 6" tall. 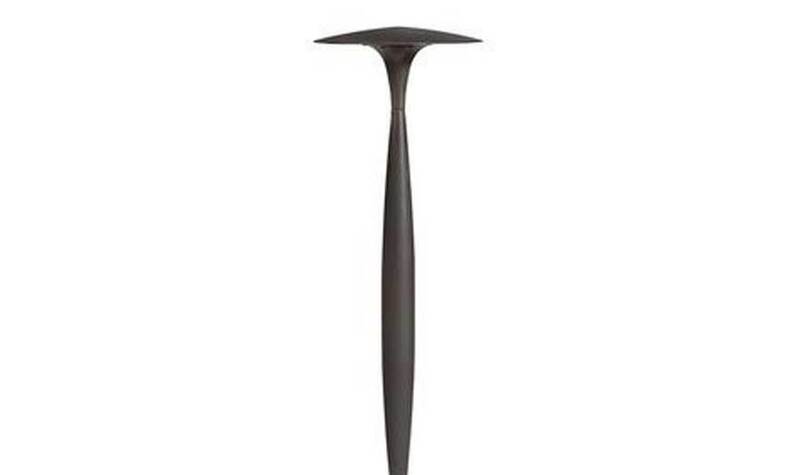 Designed for underwater use in ponds, fountains, and other water features. 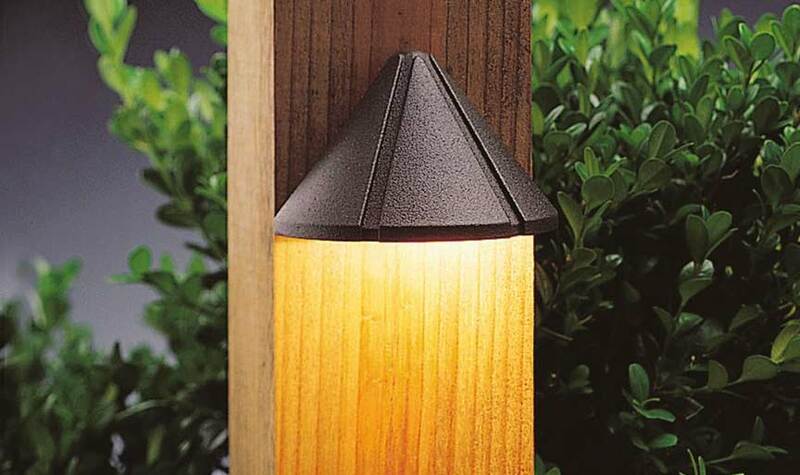 Can also be used out of water as a mini accent light – ideal for wood decks and overhangs. 2" wide x 2" tall. 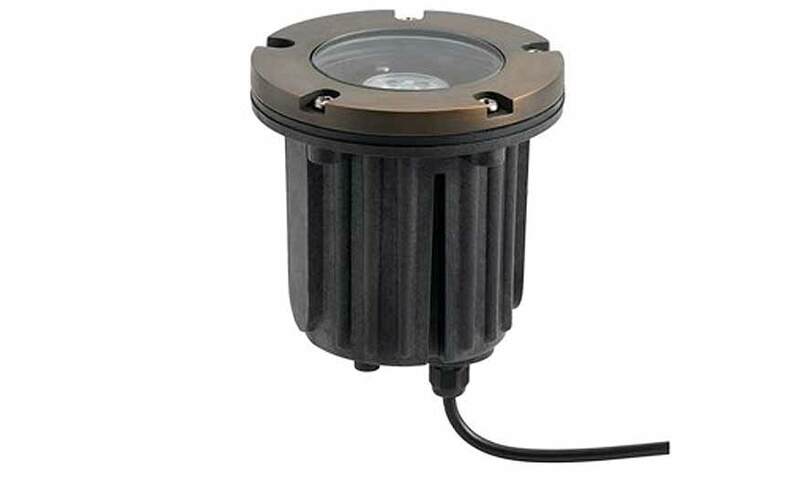 Versatile mini size and simple styling for multiple applications with the added benefit of LED technology. 3.75" wide, 2.25" tall, 2.25" deep, and 2.5 watt. 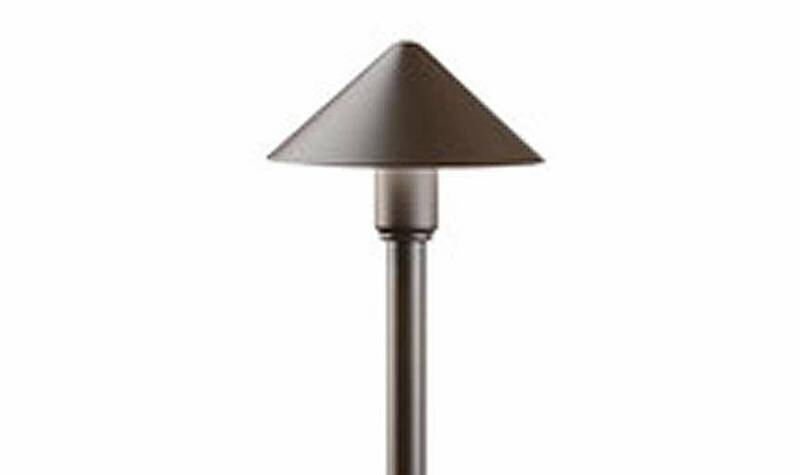 The FUSION 22 fixture is small, but refined. 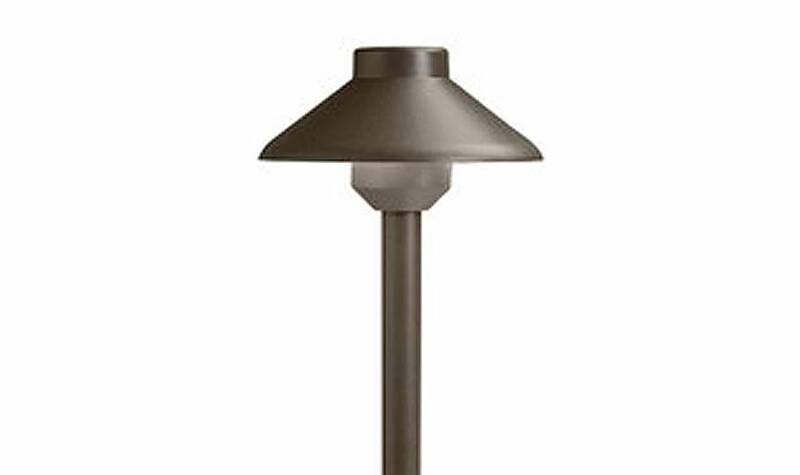 This subtle 22 mm diameter fixture is virtually invisible during the day. 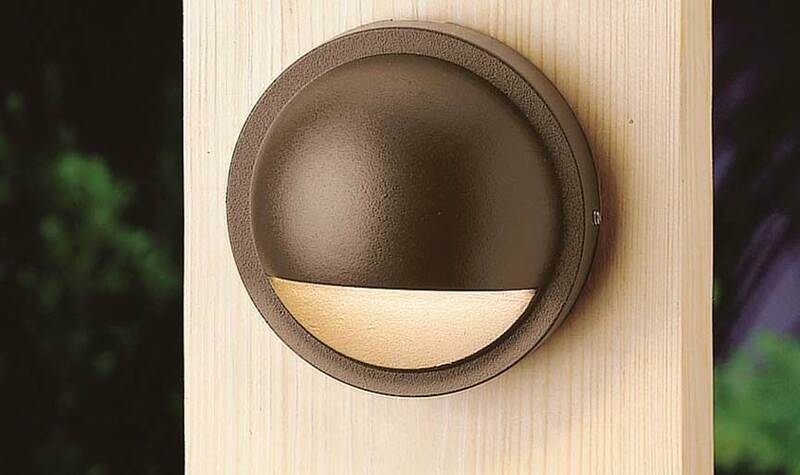 It produces a soft non-blinding light in the evening. 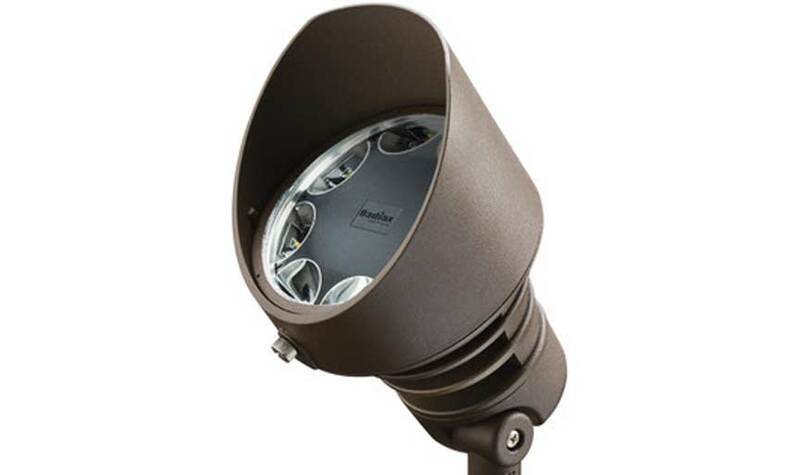 This makes the pocket light FUSION 22 suitable for paths, steps and decks. 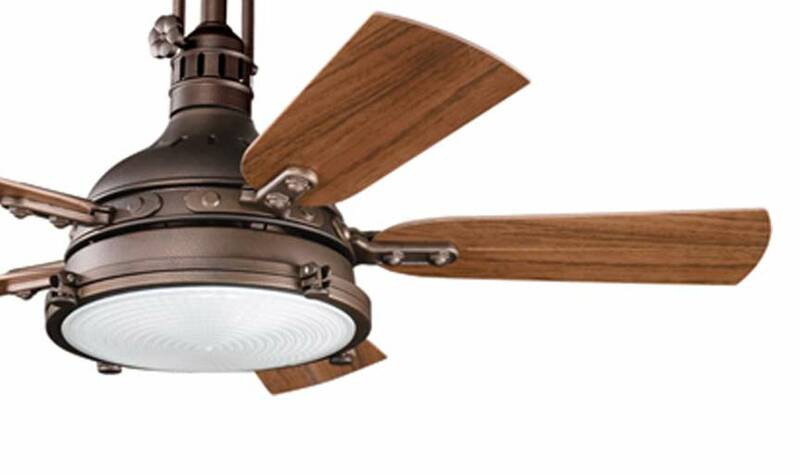 The FUSION 22 RVS stainless steel fixture is small, but refined. 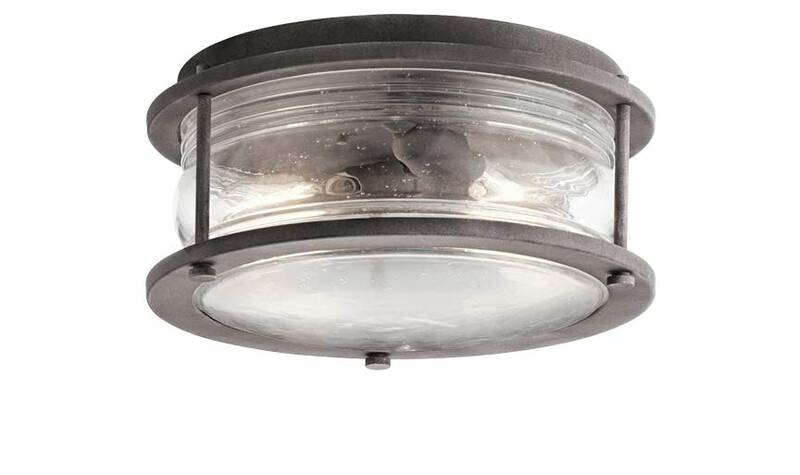 This subtle 22 mm diameter fixture includes a stainless steel ring. 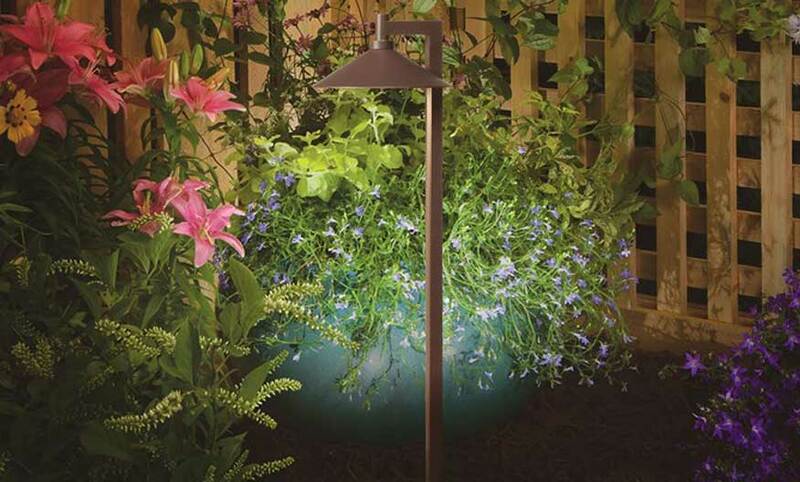 It produces a soft non-blinding light in the evening. 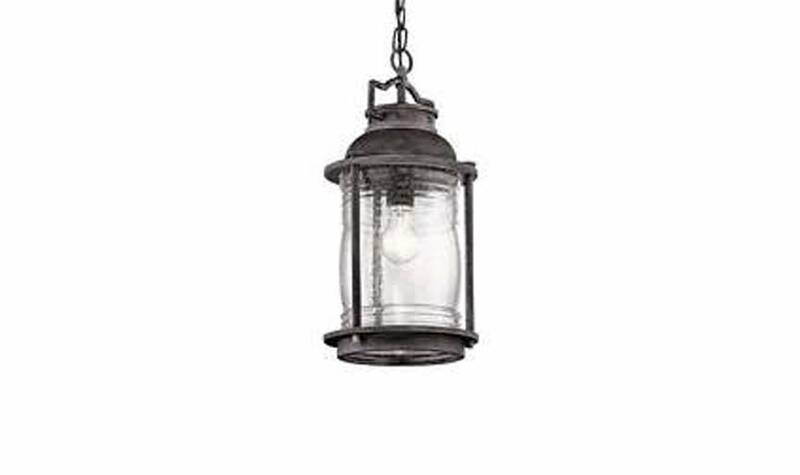 This makes the in-ground / pocket light fixture perfect for stairs and decks. 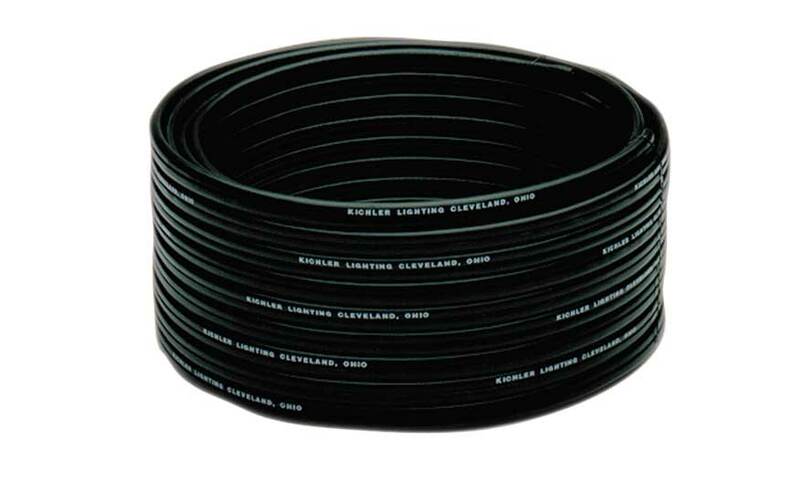 12 gauge cable available in 250 and 500 linear foott rolls, or by the foot. 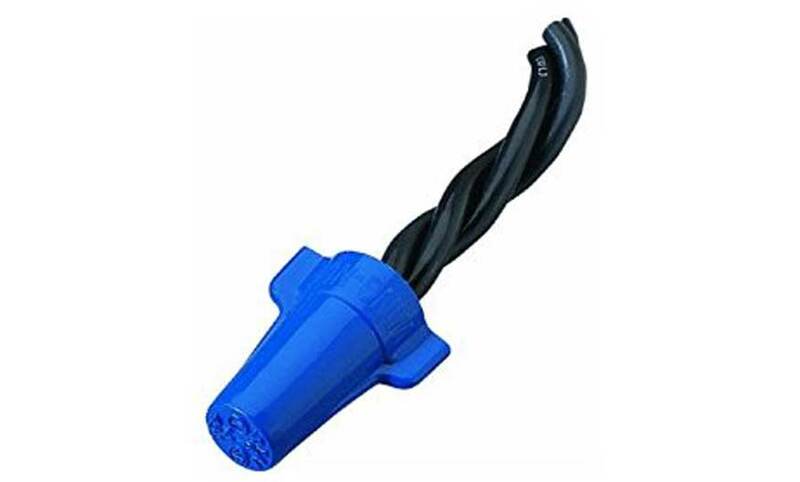 For added weather protection and security when installing cables underground, lubricated connectors are an added benefit for long-term results and performance. 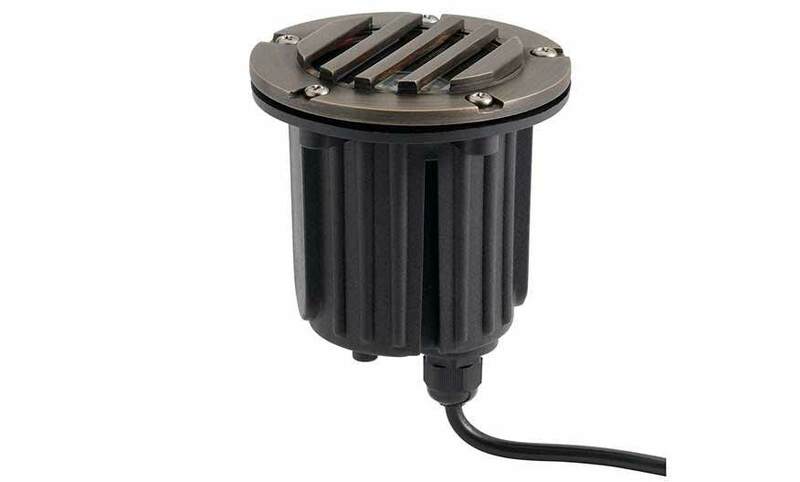 Kichler's Professional Series transformers provide the best options and flexibility needed for all installations. 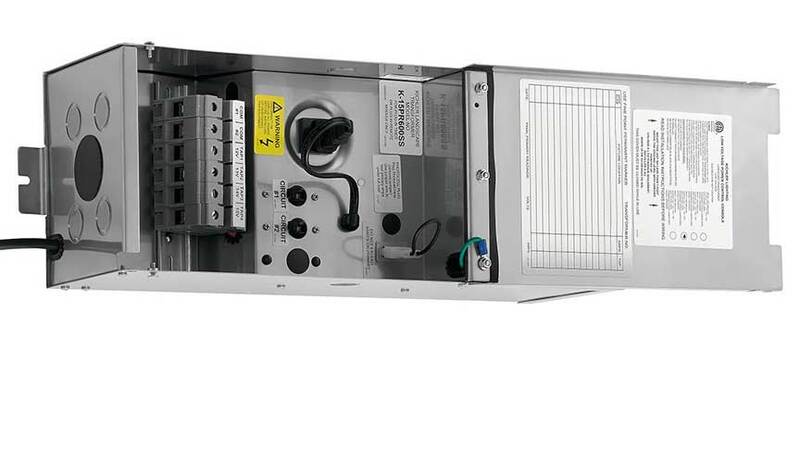 With so many options for output voltage, theres a unit suited for all jobs. 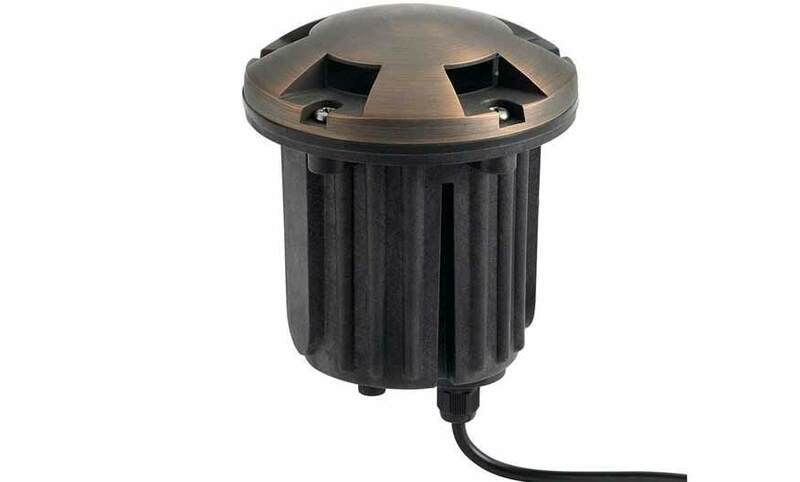 Features include a commercial grade toroid core and coil submersible rating, pluggable timer and photocell outlets, plus a lifetime warranty. Many options available. Many options available, click to review entire product line.